One of the most gifted and aggressive long sprinters ever from this state, according to one old-timer who has observed the local track scene for over 35 years. Mike was a dominant runner for Conrad High School winning three consecutive State Championships in the 440 yard dash from 1958 through 1960, and also winning the 220 championship in 1959 as well. Mike established the state record in the 440 yard dash at the time. 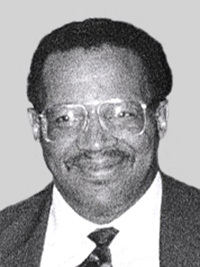 Brown later competed for the University of Delaware, where he was a star halfback on the football team, in the early 1960’s. The UD top ten performance lists still show Mike as co-holder of the University’s 50 yard dash record in 5.3, and 3rd all time at 200/220, and 400/440 with 21.5 and 48.3 sat in 1963-1964.